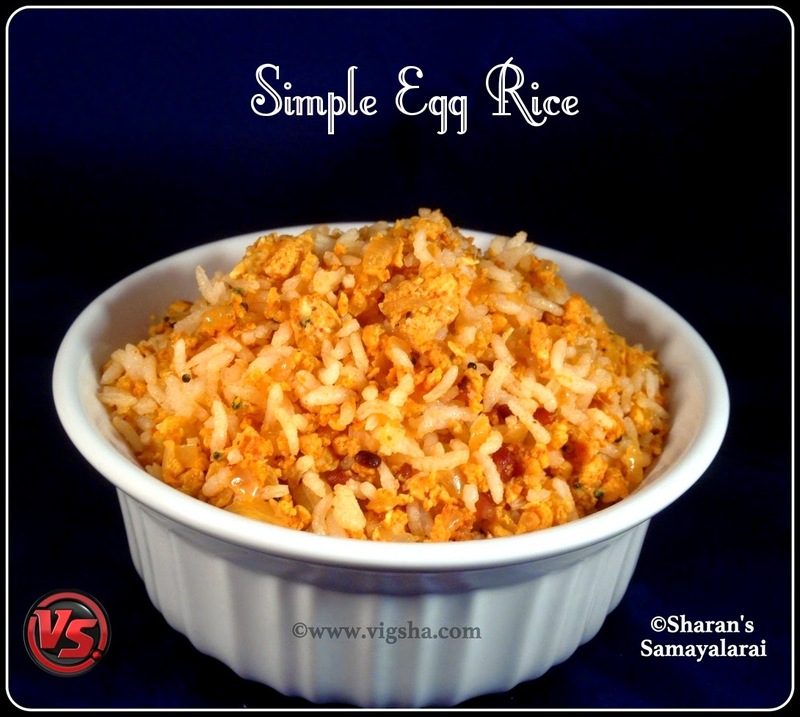 Egg rice is a simple variety rice recipe, topped with eggs and flavored with spices. 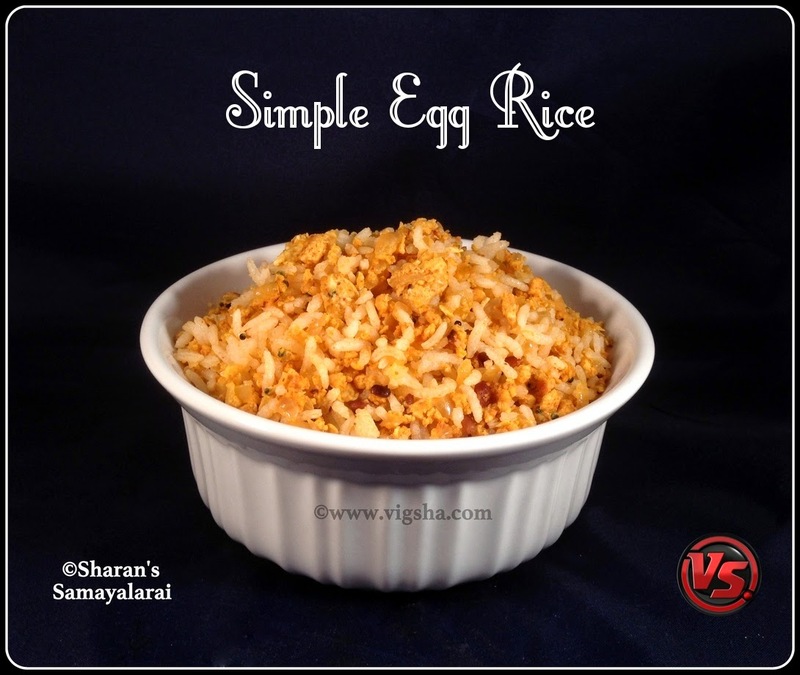 This simple recipe is an excellent way to use the left-over rice. 1). Heat 2 tsp oil, add mustard and let it splutter. 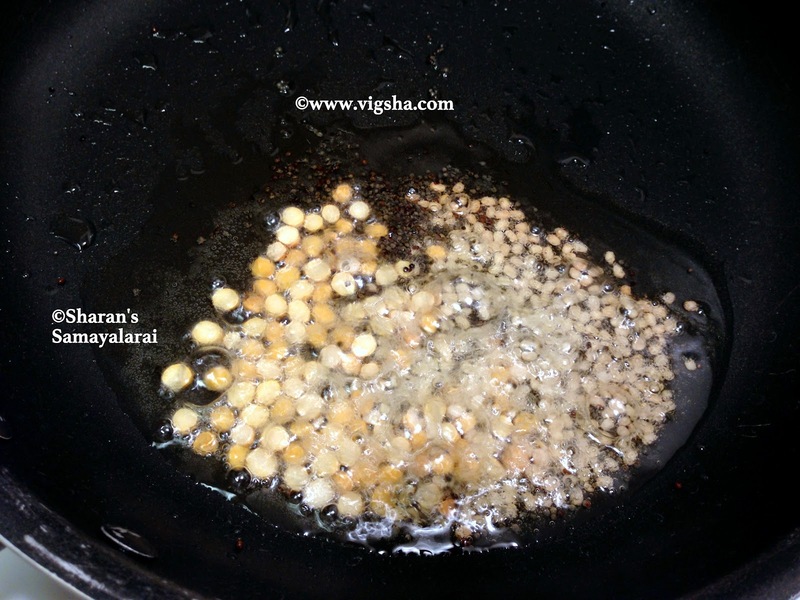 Then add urad dal, channa dal and saute till turns slight brown. 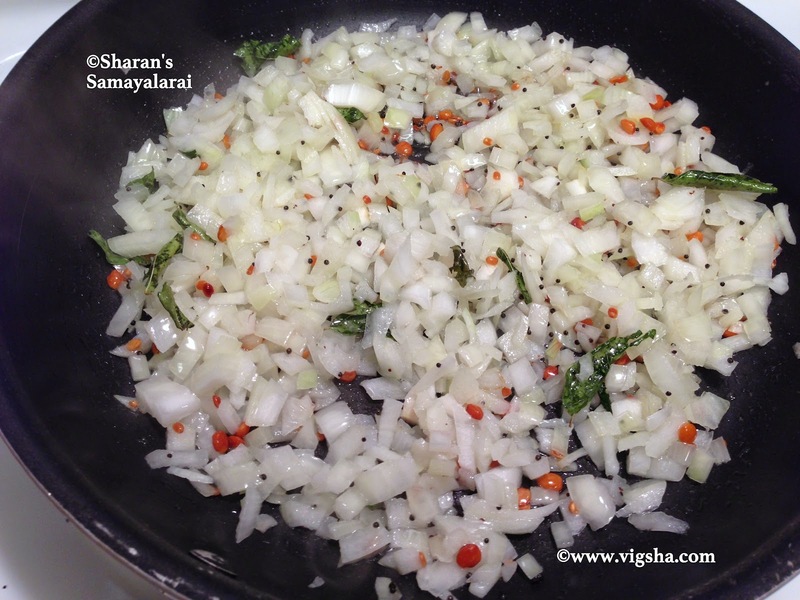 Then add onions, curry leaves and salt, saute. 2). 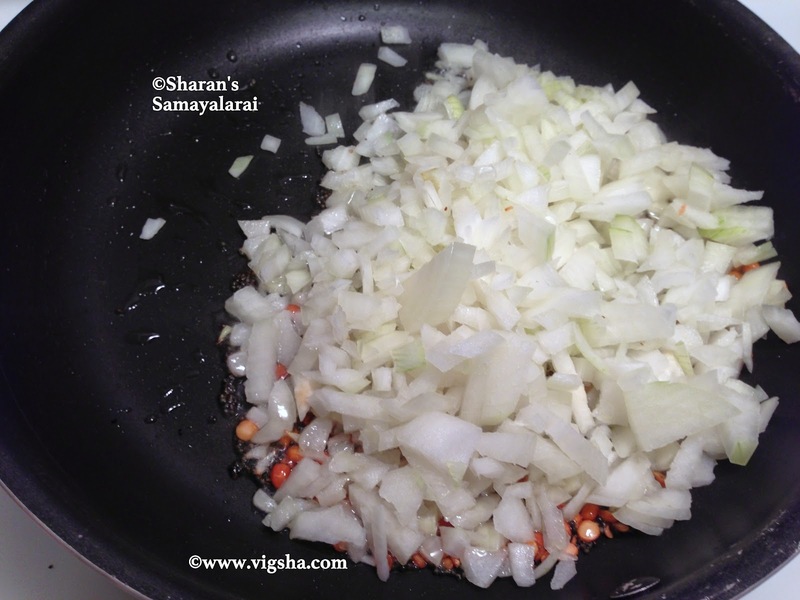 Saute the onions till they turn light brown. 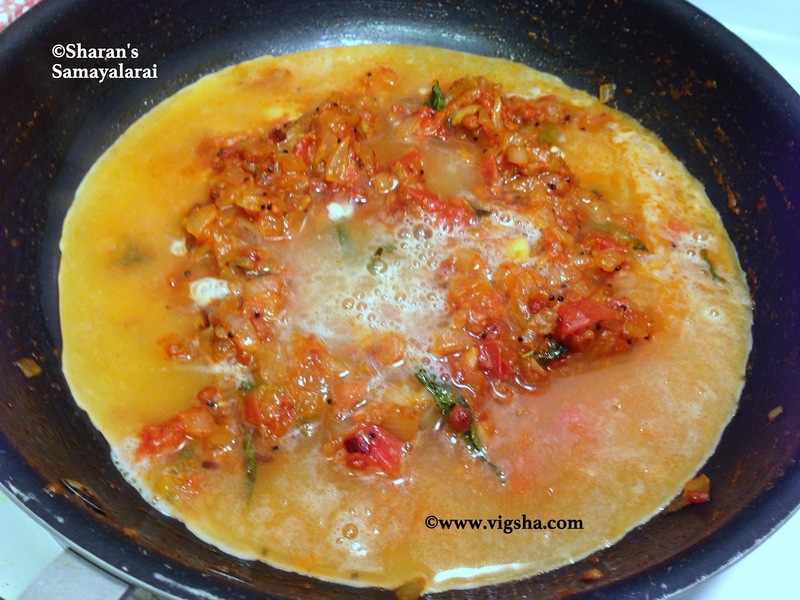 Add turmeric powder and chilli powder, saute till the raw smell goes. Then add the eggs and scramble. 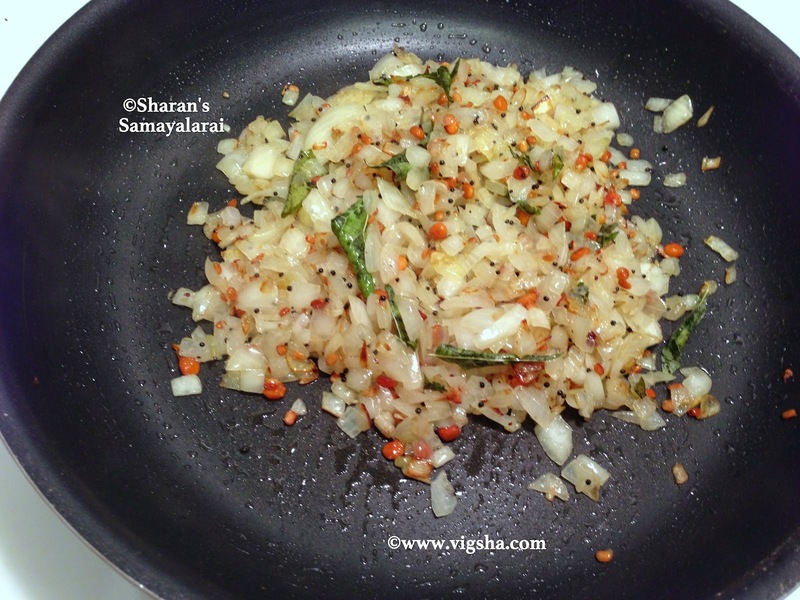 You can also add veggies along with eggs. 3). Leave them as lightly bigger chunks, don't mince too fine while scrambling. Add the cooked rice and combine together. Serve hot ! This can be packed for lunch box too.